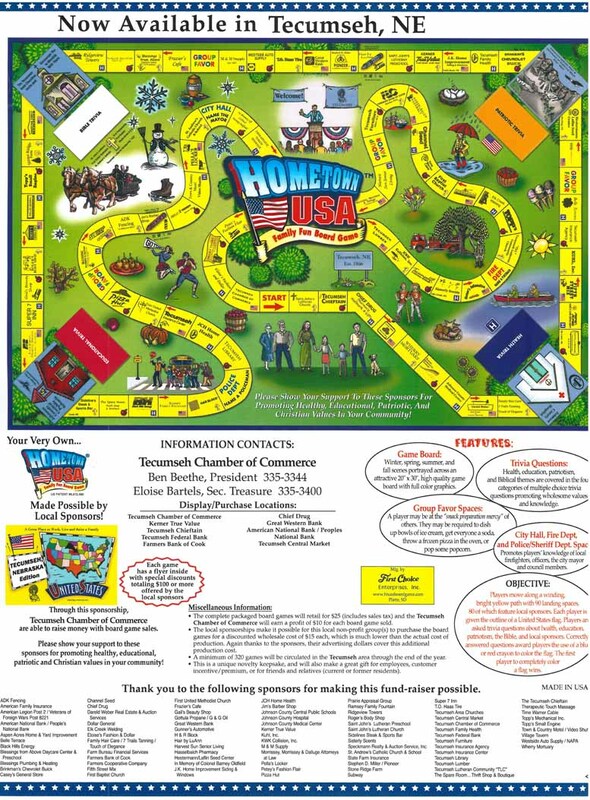 Hometown USA Tecumseh board game is perfect for any family. It features a winding path with 90 landing spaces portraying Tecumseh area businesses. 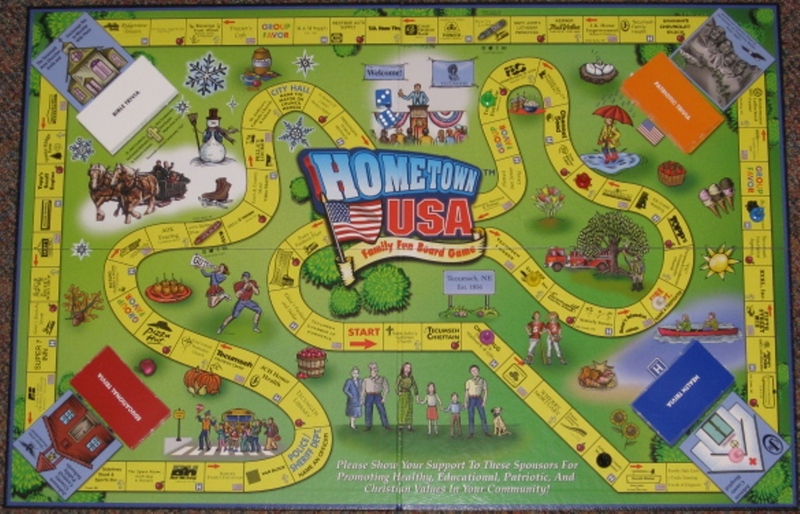 Each player is given the outline of the United States flag and when you correctly answer one of the trivia questions from the game, you can color in a spot on your flag. The first player to completely color in their flag, WINS! The game is a unique novelty keepsake and would make a great gift for employees, customers, friends and family of current or former residents. For a complete view of a list of all the sponsors and game rules and much more information, please click here. Games sales are used as a fund raiser by the Tecumseh Chamber of Commerce for local events and scholarships. Games are on sale through Christmas for $20 each, including sales tax, or 2 for $30 plus $15 shipping and handling. Included in each game are valuable coupons worth over $275 to area Tecumseh businesses! Save shipping and handling and pick up your Hometown USA Tecumseh Morrissey, Morrissey & Dalluge, 177 South 3rd, Tecumseh, NE.